You don’t need to live in New Orleans to enjoy the local festivities of Mardi Gras and Fat Tuesday! 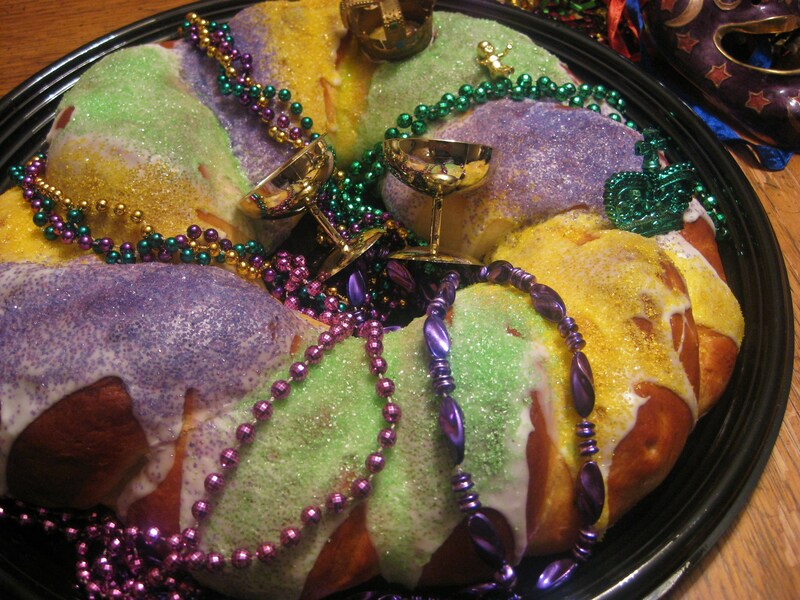 There is something so colorful and fun about the New Orleans’ King Cake that I have to make it every year just to feel like I’m celebrating right along with the folks in New Orleans. Fat Tuesday is right around the corner wrapping up the the Mardi Gras or Carnival Season that is so well celebrated in New Orleans. The season begins on January 6, also known as “King’s Day” honoring the meeting of the Three Wise Men with the baby Jesus. The hiding of the baby in the cake was to symbolize the finding of the baby Jesus.